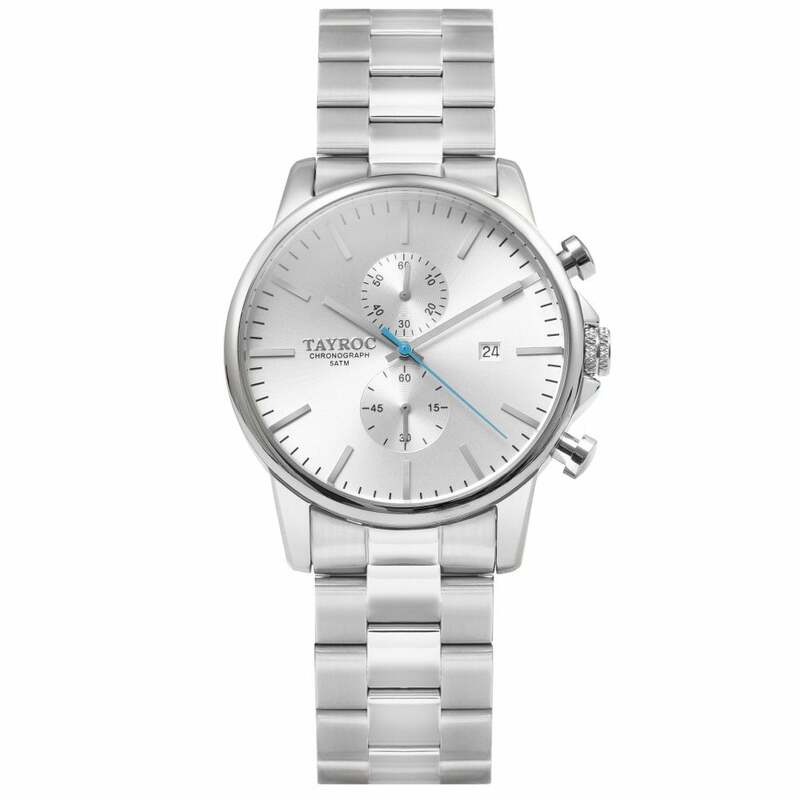 The Tayroc TXM112 Silver Chronograph Men's Watch is fitted with a silver stainless strap with a silver stainless steel case. The TXM112 comes with a silver dial, date display and a chronograph function. this watch comes with a 2 year manufactures warranty and free UK delivery. Established in 2014, Tayroc is a brand filled with passion, imagination and creative vision, designing on trend watches for all men and women. With chronograph being their signature design, each dial stands out as they are completed by a leather, mesh or metal bracelet stainless steel strap, giving off the 'must have' trend, produced with high quality materials and a Japanese Miyota movement. Provided with an instruction booklet in an Official Tayroc Presentation box, Tayroc watches come with a 2 year Manufacturer's Warranty.